DNA as the genetic material is a topic of intense interest in the 21st century with the familiar and iconic Watson-Crick double helix having a vital importance for its function. However, there are further complexities beyond the double helix, including supercoiling, knotting and catenation, that are less widely appreciated and understood but which are critical to its function. 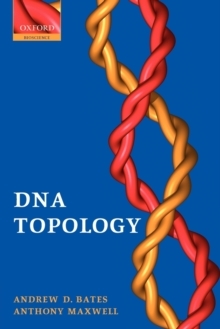 This book explains these topological aspects of DNA structure in a clear and approachablestyle that will be appreciated by both students and researchers interested in DNA structure and function.